Let's see how much we have in common. My favorite color is BLUE. It always was and always will be. My favorite singers right now are Keith Urban and Bryan Adams. I love the sound of their voices, but not only that I love their sappy songs which I could listen to all the time. My favorite Television show ever - Survivor hands down. My favorite type of movie - Sappy of course, a movie that makes my cry is a movie I have enjoyed. My favorite animal is a dog, only because I have one, but I love all animals. My favorite passtime on the computer is chatting with online friends. Although we have never met, it was surprising to me how great we all connected. Wow! The computer is wonderful. My favorite places to travel? I have yet to travel by plane and I doubt I ever will, but there are many beautiful places in Nova Scotia I love to visit. Our day trips include driving along the lighthouse route to Halifax, where we spend a whole day getting lost, we loved Yarmouth last summer and plan to go back again for another visit. My favorite trip is always up across the Annapolis Valley. We start from Annapolis and drive to New Minas before we finally end up back home again. My name on pogo is Lost Angel. My favorite days of the week are Saturday and Sunday. When the weather is warmer we love to travel around Nova Scotia taking in the beautiful scenery. We take lots of day trips during the summer months. Of course, I never leave home without my camera. I love to write. I usually do most my writing in the early morning or early evening. When I can, I try to write at least 2-3 hours every day, that is unless I come across another mental road block. It's great fun making up characters and making them a life that hopefully your readers will enjoy. I don't know why I waited so long to send my work out. My story telling seems to come naturally although it takes a lot of work editing and editing. Hopefully I will be writing for a long, long time. It is something I love. NEVER GIVE UP ON A DREAM. My favorite sport is Nascar - Number 24 of course. Jeff Gordon rules! My favorite actress is Sandra Bullock. 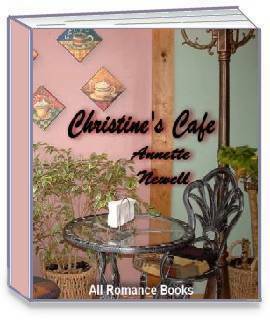 Ever dream of writing your own romance novel? Take a chance. It is worth all the hard work to see the finished work in your hand. What I like to do - I love photography. I mostly love taking scenery pictures of the ocean and lighthouses. My hubby has a little business of his own.